Hello! 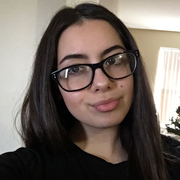 My name is Diana and I do have experience with babysitting, I have over one year of experience and I work well with infants, toddlers, etc... I’ll be more than happy to watch your children! My schedule is flexible to work with.